Before we get started I should come clean and say that I have never actually tried one of those virtual conferences. I have been on both sides of webinars and streamed lectures enough that I imagine them to be lacking in the way of participation. You always hear that going to a conference is more about connecting and networking and that the virtual conference offerings cannot give you that. I suppose most virtual conferences are fine for what they are but it is not what I would imagine as participatory or social – I feel like they lack something in the way of authenticity. My virtual experience for #digped was not like that. I have to say it really outdid any of my expectations for a virtual experience. I should be clear that it was not the kind of experience you might think of when you see a conference offered “virtually”. This was never really “offered” to me; I paid no fee for a virtual registration, I was not provided with instructions on how to login, or given any special credentials or a link to follow. Heck the video stream of the keynotes (which were advertised as a maybe) did not even work. So what made the difference? A huge part of my experience centered on getting more involved in Virtually Connecting (@VConnecting). 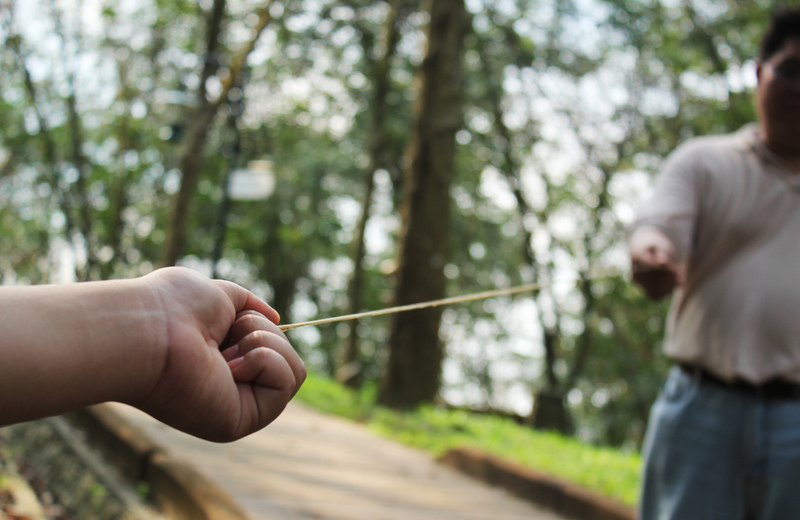 I was reminded about the event few days before the Lab/Institute began when I saw that Maha Bali (@Bali_Maha) and Rebecca Hogue (@rjhogue) were planning to do some VConnecting sessions for it. I started talking to them about it and expressing interest in participating virtually. I had participated in some sessions for HASTAC and I knew it would be a good way to get a glimpse of things on site. They gave me the schedule and I signed up to participate in a few hangouts. On the first day of the conference I got into things by sending this tweet which was pretty well received. This tweet started to get a small number of favorites and retweets and at first I just thought that was cool. However, at some point I remembered that my first interaction with VConnecting was because Maha reached out to me after I faved an announcement about an upcoming session. Mind you I did not reach out to Maha with a reply or mention to say “Hey I really want to do that please count me in”. While that may have been on my mind I did not say it; I was at this outdoor concert, camping, and did not think that it was something I could participate in at that moment. However, based on my fav Maha reached out to me and invited me in and when I explained where I was she gave me advice about connecting via the mobile app. She made the experience accessible and friendly for me. So, getting these favs and retweets on this particular tweet was my WWMD (What Would Maha Do) moment. It also reminded me about Maha’s recent conversations around hospitality and how it had spurred my own thinking around digital citizenship. So, I started reaching out to those that were favoriting and retweeting (well those that I could tell were not already at the Lab/Institute) and seeing if they wanted to join up as virtual participants and sending the yes’s over to Maha or Rebecca. This set a trajectory for me and before I knew it I was in full swing with the program for the whole week. I found myself in some of the planning backchannels which was awesome and somehow ended up co-hosting as a virtual buddy with Apostolos Koutropoulos (AK) (@koutropoulos) for the final day. In the end, I was in a VConnecting session every day except the one day that Alan Levine (@cogdog) hosted which was a bummer but I had the broadcast on in the background while at work and caught bits and pieces. That authenticity also showed up for me as I got to collaborate with our onsite buddies Andrea Rehn (@Profrehn), Lisa Hammershaimb (@merryspaniel), and Sarah Hammershaimb (@S_Hammershaimb). With all of the planning and organizing I felt like I got to know them and I felt connected to the onsite event. We were participating in the event in a different way but we were participating and it felt more authentic and real than I can ever imagine watching a broadcast could. I think a big piece of the authenticity around VConnecting is that it is far from perfect. Especially in the live broadcast the sessions are exceedingly human; prone to awkward pauses, last minute changes, overlapping conversation starts, and all of the awkwardness that quite honestly triggers my social anxiety when meeting a new person for the first time. I’m struggling to define it but it reminds me of some kind of flip or hybridization on context collapse as Michael Wesch defined it for recording web video. Though it is recorded it is also live and in a social situation. I’ll be honest the experience is not always comfortable in the moment but I think that there is something to be said for being given the opportunity to look those contexts in the face and try to make sense of them. It is this sense of opportunity, humanness, and spontaneity that brought authenticity to VConnecting and VConnecting brought it to #digped and I got to jump on board for the ride. Just like in a face to face experience when you go to a large gathering of professionals you will meet a lot of people but find that you might connect at a deeper level with others. The VConnecting live sessions allowed me to talk to some amazing presenters whose work I really admire, however, I found that the off air interactions were extremely rich. It is hard to plan and organize something with a group of people and walk away not feeling that you know each other a little more. Again, I can’t see how you could get that from watching a live stream no matter the chance to tweet a question and have it relayed by a moderator. The pre and post show interactions and the planning logistics that went into creating each session were an opportunity to connect on a deeper level with many people that I otherwise would have never known. Some of these people I had met before through VConnecting or through other online interactions but for some it was my first time meeting them. Particularly, I think my relationship with Maha, Rebecca, and Andrea was deepened from all that communication and interaction. The laughter and silliness that ensued while AK and I tried to record a trailer for our session is something that makes me smile even while I recall it to write about it here. 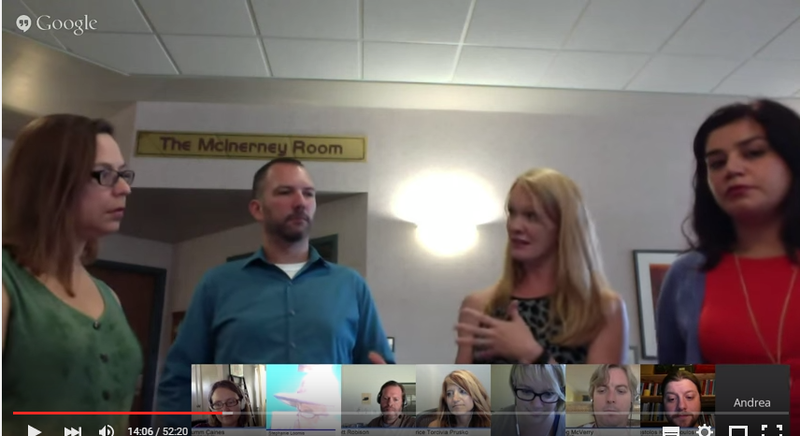 After #digped we all got together in a hangout for a debriefing session; Virtually Connecting is still in it’s infancy having only launched earlier this year. It is still growing and defining itself but we were able to clarify some roles that need to be filled for future events and there is a call for more members now. If you can’t attend a conference that you really want to go to I would highly recommend seeing if VConnecting will be there and if so jumping in to see how you can participate with them (us!) from afar. 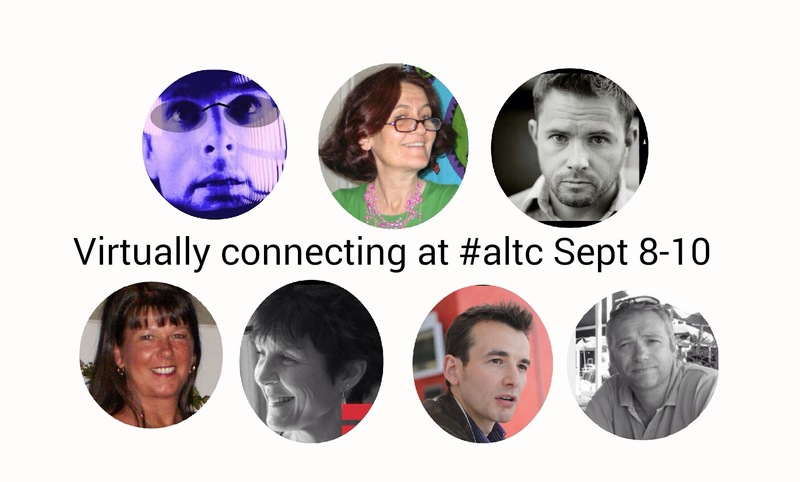 We are currently planning to be at several ed tech conferences including the altc conference in Manchester UK in September and the dLRN conference at Stanford next month. If you are organizing an event or conference contact VConnecting about bringing them onsite to your event – it will give your virtual participants an experience that cannot be replicated.